Prime location! Located in FIVE WEST-PHASE 2 building in the heart of Downtown, this Manhattan floor plan features Air-Conditioning, 2 split bedrooms, 2 bathrooms, office nook & open floor plan. 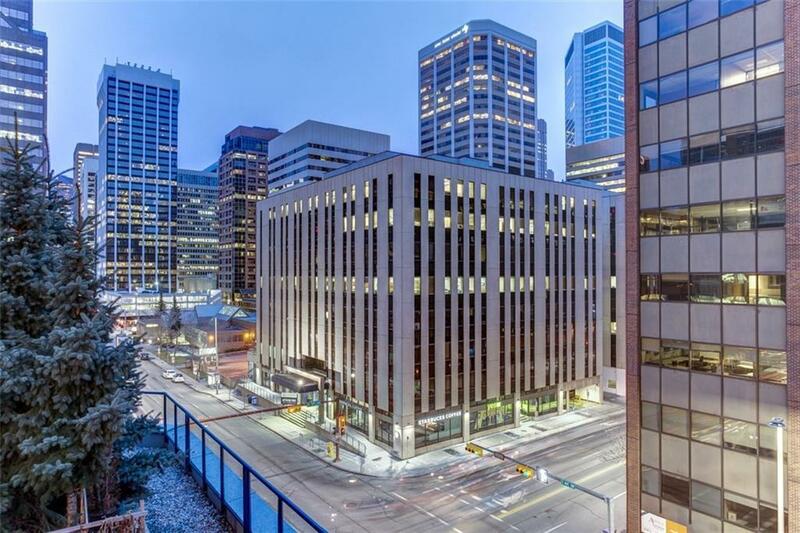 Close to all amenities including the Bow River, Pathway System, Restaurants, Shopping & Downtown Office Core. 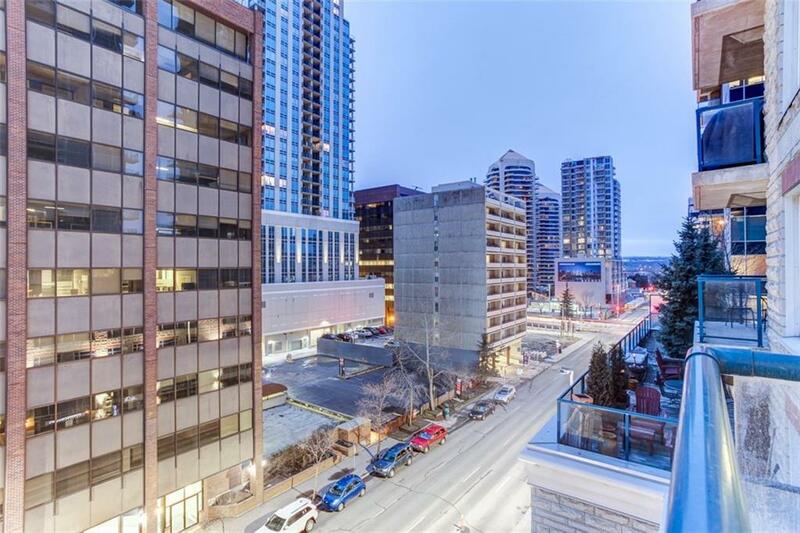 Easy walking distance to the LRT & Downtown Core! Pride of ownership is apparent throughout in this move-in-ready suite: Hunter Douglas window coverings & newer carpets. This front, corner unit, facing South to 5th Ave consists of a kitchen w/granite countertops & SS appliances, open to dining. 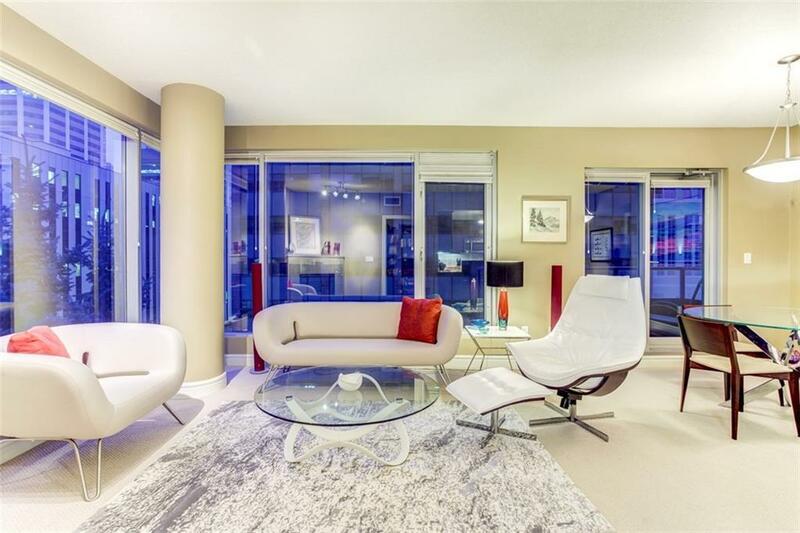 & living room w/floor to ceiling windows, corner fireplace & private balcony with gas BBQ outlet. Large master bedroom with 4 piece ensuite & walk-in closet, second bedroom with cheater door to second 3 piece bathroom, custom built-in computer nook & spacious in-suite laundry. 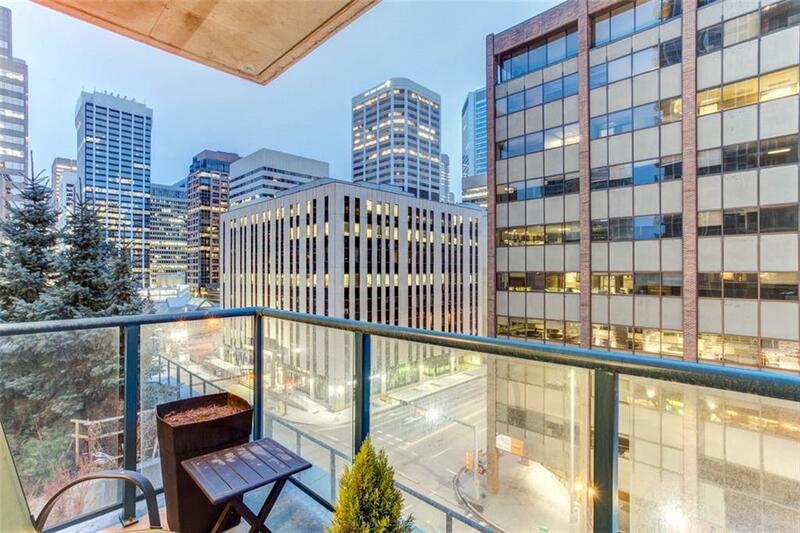 Included is heated underground parking, storage unit, party room w/private sun deck, concierge service, car wash & indoor visitor parking.